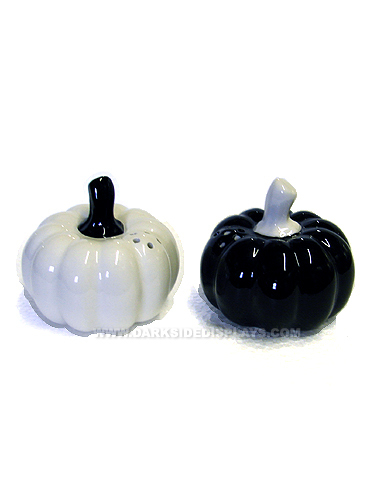 Bring the Fall decorating to your dining table with the aid of these black and white pumpkin salt and pepper shakers. Ceramic, dishwasher safe. Black and White Pumpkin Mini Shakers measure 2" x 2."